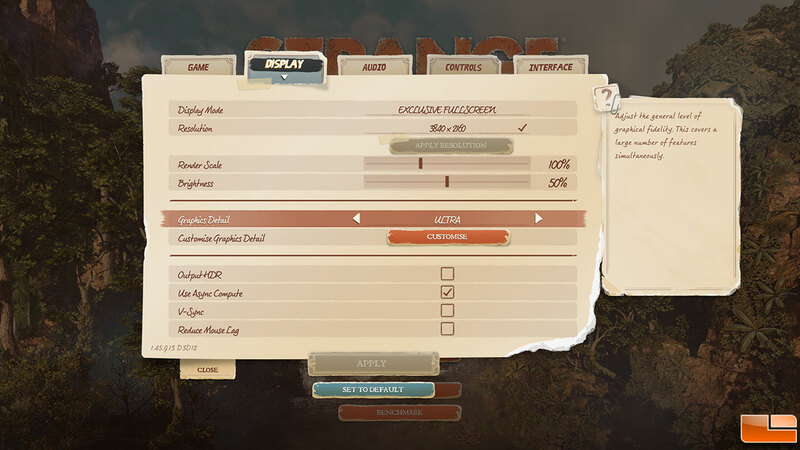 Strange Brigade is a cooperative third-person shooter video game developed and published Rebellion Developments. It was released for Microsoft Windows, PlayStation 4 and Xbox One on August 28, 2018. In the game, the player fights against different mythological enemies and solves puzzles. Strange Brigade was benchmarked with ultra image quality settings with Async Compute enabled. V-Sync was disabled and we used the game titles built-in game benchmark. 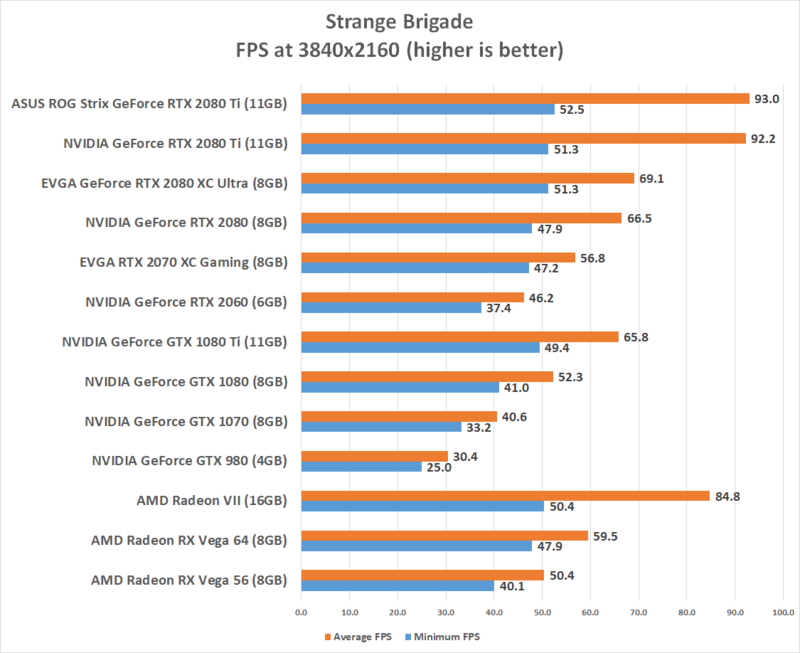 Benchmark Results: The Radeon VII was 42.5% faster than the Radeon Vega 64 at 4K on the Strange Brigade built-in benchmark and was only bested by the GeForce RTX 2080 Ti cards.